The 37-year old co-founder of Flipkart exited the company after giving up his entire shareholding of 5.5% to Walmart. After exiting Flipkart, co-founder Sachin Bansal is currently finalising what is one of the biggest personal investments in the Indian internet space. Bansal is pumping ride-hailing company Ola with $100 million or Rs 740 crore. The entrepreneur's investment amounts to more than 10% of his personal wealth accumulated from the Walmart-Flipkart deal this year. The 37-year old co-founder of Flipkart exited the company after giving up his entire shareholding of 5.5% to Walmart that picked up 77% stake in the home-grown e-commerce giant. Bansal, who founded the company with Binny Bansal, made $1 billion from the deal. As mentioned in a report in The Economic Times, the Ola investment is not the first for Bansal. Before this, he is known to have been investing in local start-ups since 2014. However, he has always poured in significantly smaller amounts of $1-2 million. Bansal's investment in Ola will largely be through subscription of new shares as well as a small component of secondary sale by existing investors, the daily mentioned. Ola's valuation has ranged between $3billion and $4.5 billion across secondary and primary transactions in the past year. Bansal and Ola CEO Bhavish Aggarwal declined to comment on the development. Ola that raked in $1.1 billion from existing investor SoftBank and China's Tencent, stated in October last year that it would raise another $1 billion. According to sources that told the daily, Ola is a safe bet as it is likely to grow into one of the top 3-4 players in India. Bansal's entry into Ola is seen as a significant move as the company has been locked in a battle with the largest shareholder, SoftBank. Singapore's Temasek that picked up a secondary stake at Ola agreed to vote with the Ola founders. 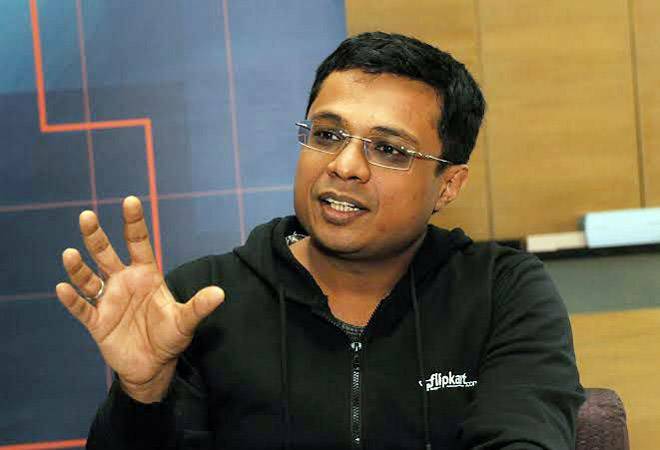 Sachin Bansal has also been in talks with at least two Bengaluru-based Artificial Intelligence (AI) start-ups for investments. While Ola's rival, Uber, gave up its Southeast Asia arm to rival Grab, Ola has been foraying into foreign countries. It started operations in UK, Australia and New Zealand as well as in Bangladesh and Sri Lanka.